Spray painting with HVLP equipment may be an acquired skill, but it has become a whole lot easier to learn the skills and techniques with the selection of spray guns on this list. All of the guns on this list are in current use by professionals all over the world, which should say something for their quality, reliability, and the consistency of the excellent results they deliver. However, all high-end spray guns require specific operating pressures and air flow rates, so to get the best out of the guns on this list, it is critically important that they be paired with compressors that can deliver enough air to ensure trouble-free operation. 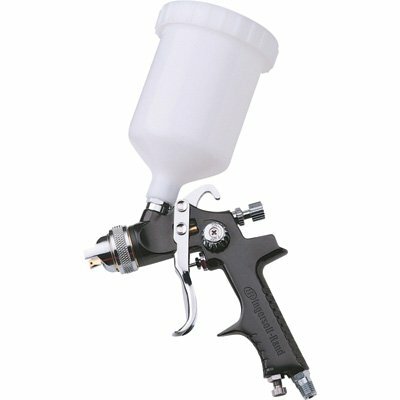 Here then is our selection of spray guns we believe will deliver professional results every time, even if you are not a pro at spray painting. Sprayer comes with a 27-ounce paint container and viscosity cup to make easier to dilute coatings correctly to obtain professional results. Spray nozzle has no moving parts, thus extending its useful life. Also included is a nozzle for spraying concentrated air to clean out keyboards and other objects that cannot be dismantled for cleaning. Sprayer comes with a 2-year limited warranty. The HomeRight C800766 Fine Finish Sprayer is the perfect, self-contained tool for small, general purpose spraying jobs around the home. The incorporated air compressor in this sprayer produces a high volume of air, but delivers it at a low pressure, making it possible to spray circular, horizontal, or vertical bands that range from as narrow as one inch, to a maximum of six inches wide. Moreover, its ergonomic design and lightweight construction won’t tire you out halfway through the job either. By using the fine adjustment knob on the trigger, it is possible to produce spray patterns that are perfect for coating furniture, lattice work, steel garden furniture, or window shutters. His sprayer is ideal to apply stains, varnishes, enamel coatings, sealers, and polyurethane finishes. Note however that this sprayer is not recommended for the application of automotive paints and coatings. However, this sprayer requires objects to be vertical, or nearly so, since the maximum tilt angle is 45 degrees. This makes it difficult to spray flat surfaces such as decks and other objects that cannot be lifted to a vertical position. Sprayer comes with Lock-n-Go quick disconnect feature to enable rapid set up and even faster cleaning. The air turbine is rated for outdoor use. Two paint containers are included- a 1 quart container for small interior jobs, and a larger, 11/2 quart container for bigger outdoor jobs. The dual-stage motor is spark-arrested to prevent ignition of paint fumes when working indoors. Flow rate is fully adjustable, and provided with a precision control function. Maximum flow rate is 4.9 fl.oz. per minute. The Wagner Spray Tech 0518050 HVLP self-contained sprayer is ideal for somewhat larger jobs that can be done with low pressure equipment, but for which you do not quite need an industrial-grade paint sprayer. 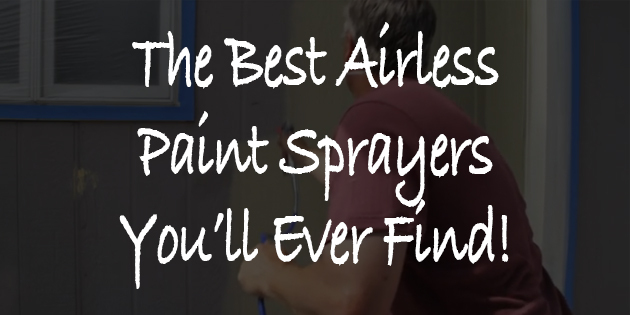 This sprayer can be used to paint the kitchen door as easily as it can be used to paint your entire fence. 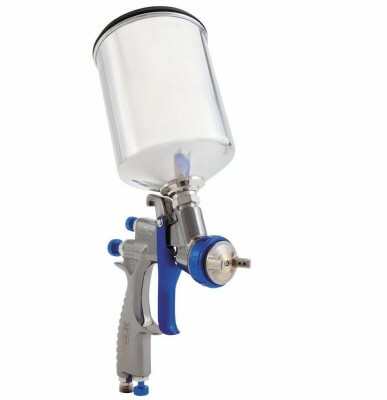 Recommended coatings to use with this sprayer include sealers, varnishes, enamels, light primers, and thinned lacquers. By using the fine adjustment controls, it is possible to achieve professional results every time, regardless of the coating being applied. Note that this sprayer is not recommended for use with automotive coatings. Three spray patterns are available; circular, horizontal, and vertical, in bands from as narrow as ½-inch to as wide as 10 inches with minimal overspray. By selecting the right pattern for the job at hand, it is possible to paint anything from lattice work, to garage doors in less time than it takes to collect brushes and drip pans. All spray guns in the set are fitted with standard ¼-inch air fittings. All spray tips are made from stainless to increase their useful life. All guns offer full adjustment and control of fluid and air flow rates, as well as inlet air pressure. The set comes with a 1-year limited warranty. 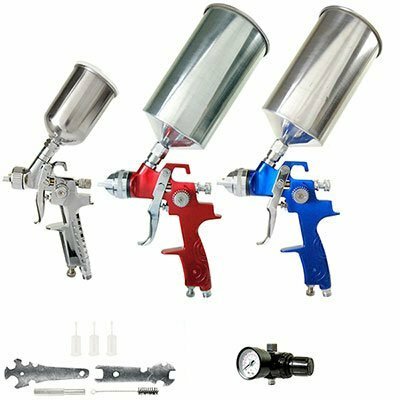 This spray gun set by TCP Global is the ultimate in automotive quality spray equipment. 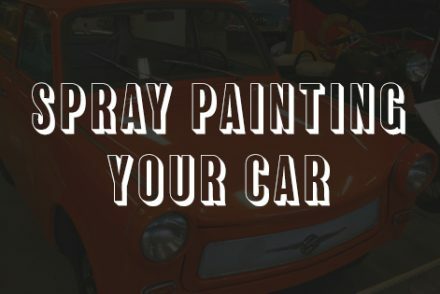 No matter whether you are a professional spray painter, or a hobbyist who requires high quality equipment to paint a restored classic car, this set includes everything you will ever need to apply the full range of automotive finishes available today. All three spray guns in the set are provided with precision adjustment controls for air and fluid flow rates, and require operating pressures from 29-, to 50 PSI delivered at a rate of between 3.5- and 7.1 CFM. This 10-piece set comes with 2 full-sized spray guns with 1.4mm and 1.8mm tips respectively for applying primers, base, clear, and top coats, and a smaller detailing gun for fine detail and finishing. 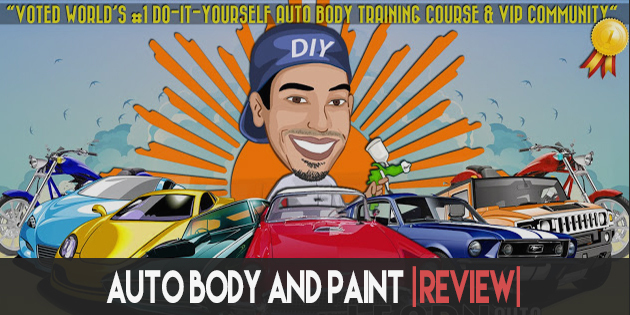 Other items in the kit includes and inline moisture trap, air filter, air pressure regulator, two 1-litre aluminum paint cups with lids, one 150 cc paint cup for the detailing gun, and a cleaning kit with a brush, and all required wrenches and tools. Also provided is an instructional DVD. The FX3000 spray gun is supplied with a 1.0mm tip. Light-weight aluminum construction prevents user fatigue. 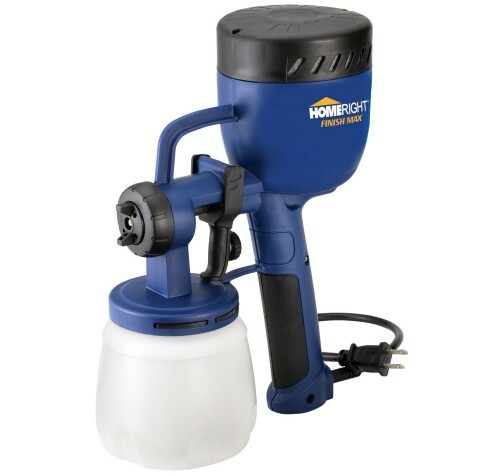 Spray gun comes with a 600 cc aluminum paint cup, wrench to remove the tip for cleaning, and a cleaning brush. The Graco-Sharpe 288878 FX3000 HVLP automotive spray gun is the equipment of choice for many, if not most body repairers in the country today where HVLP equipment is required- because it is a full-size gravity-fed spray gun that will work flawlessly the whole day long, everyday. Although the FX 3000 requires a minimum of 29 PSI working pressure at 9 CFM (cubic feet per minute), it can accept pressures as high as 90 PSI if bigger tips are used. Apart from the 1.0mm tip the gun is supplied with, it is also available in 1.3mm. 1.4mm, 1.5mm, and 1.8 tip sizes for heavier paints and coatings. 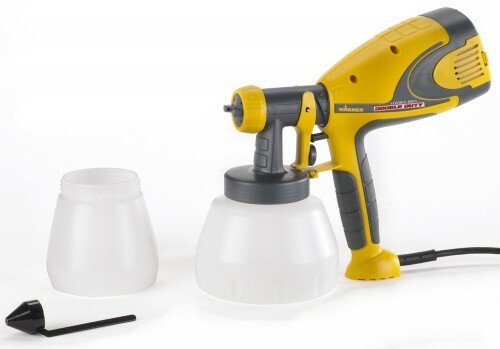 Paint container is drip-free, preventing spills on finished surfaces. Plastic paint cup holds 20 fl.oz. Supplied nozzle size is 1.4mm. Spray gun is fitted with a suspension hook, making storage easy. Spray gun is fitted with a built-in filter, preventing clogged nozzles and minimizing downtime. Spray gun comes with a 1-year limited warranty. The Ingersoll Rand 210G Edge gravity-fed spray gun is one of the most versatile spray guns around. It works as well with automotive finishes as it does with enamel, sealers, lacquers, and varnishes for painting decks, fences, garage doors, and furniture. Fully adjustable air pressure, flow rates, and spray patterns make it possible to achieve professional results every time, regardless of the coating used, or the surface being coated. However, this spray gun works best at 50 PSI and an air flow rate of 10,5 CFM, so make sure the compressor is able to deliver sufficient air to prevent less than professional results. 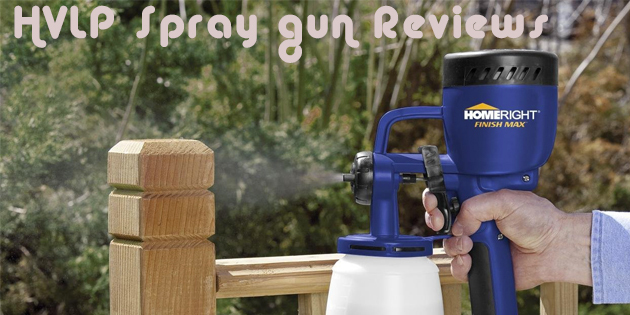 Enjoy reading our HVLP spray gun reviews? Feel free to share this article on social media and ask your questions down below.